James Neiss/staff photographerNiagara Falls, NY - A growing list of "Before I Die…" wishes fill a row of chalkboards on Old Falls Street. The public art installation has been added to Old Falls Street’s Middle Block in Downtown Niagara Falls, NY. 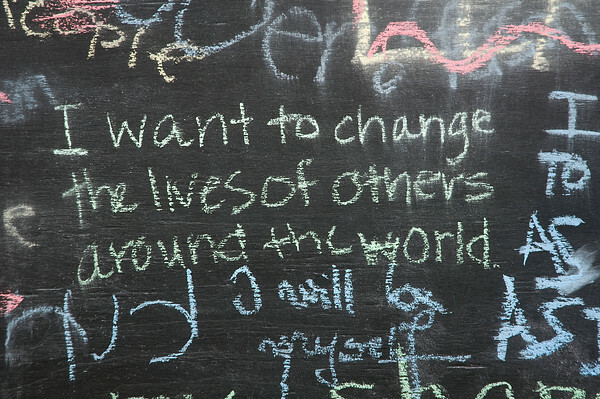 Guests and passersby are encouraged to leave their thoughts on the “Before I Die…” chalkboard wall as part of a international art initiative, developed by American artist, Candy Chang.To purchase photos, go to: photos.niagara-gazette.com and click "Browse."